How are you? Hanging in there? Or running around crazy like a chicken without a head. Trying to figure out if you have everything in line and ready for Thanksgiving? I just took my turkey out of the freezer and made all of my pie crusts (I'm making seven hundred), because, why not for the first Thanksgiving at my house? Not enough stress? Haha...BRING IT ON! So, to avoid all that good stuff, here is a quick and simple solution for start of our morning. 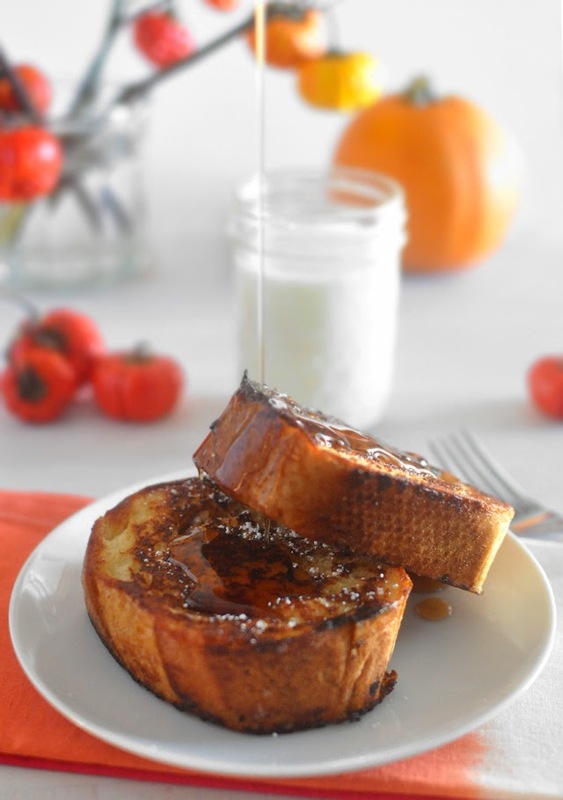 Pumpkin Spice French Toast. Use whatever bread you want, mine was just plain french bread loaf, but it would have been even better with some brioche bread. 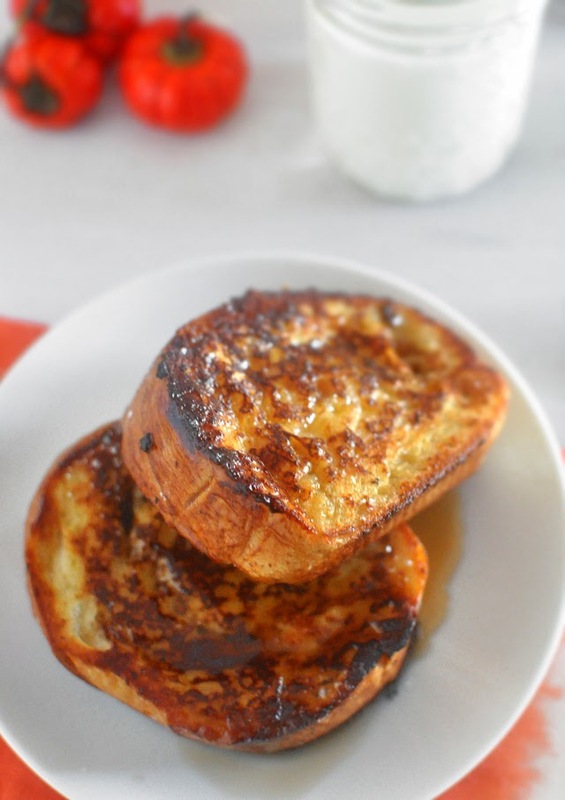 Mix eggs, milk, coffee creamer, sugar, salt and pumpkin pie spice, and dip each slice of bread into the batter. Allow the bread to soak up some of the batter before putting it into the heated pan with oil. Fry on medium heat and flip over when one side browns up nicely. And on that note (haha), bon appétit, and have a wonderful Thanksgiving with your family!